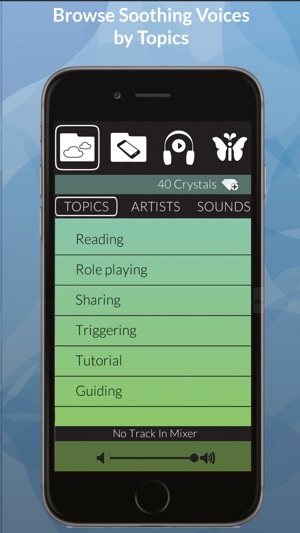 Combine soothing voices, music and sounds to create your perfect soundscape. 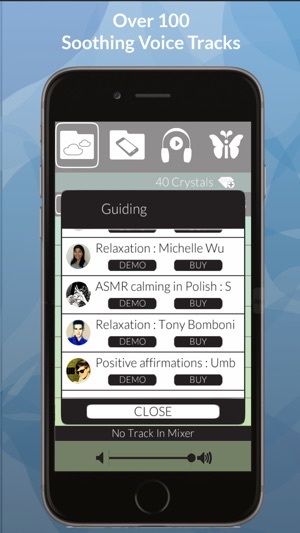 Ideal for ASMR, falling asleep, relaxation, & children’s bedtime. 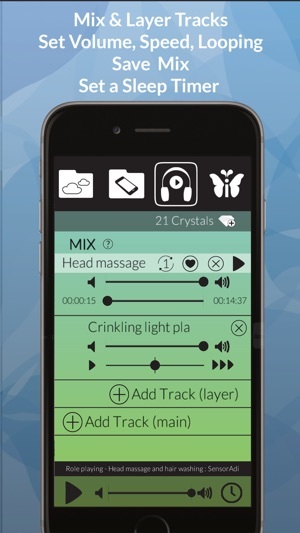 Enjoy over 300 relaxing audio tracks created by more than 40 different artists. 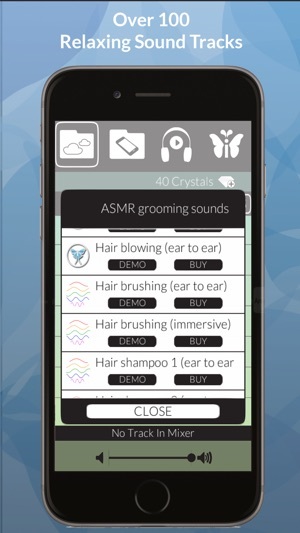 Simply the best ASMR app. 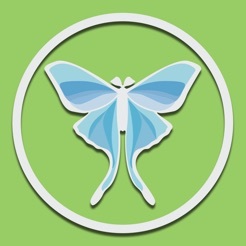 Over the past few months, I’ve tried every ASMR app available on Apple Store, and the huge selection of sounds, and EXCELLENT sound quality is just incredible. When I close your eyes listening to these recordings, I have a hard time believing that was is playing is not actually right there behind me. Thank you so so much go the developers. This has helped my anxiety, depression and insomnia more than you could ever know. Loved it from the first use! This is an outstanding app. Sound quality so much better than others of its type. Relaxation potential is astounding! Worth every “crystal”! 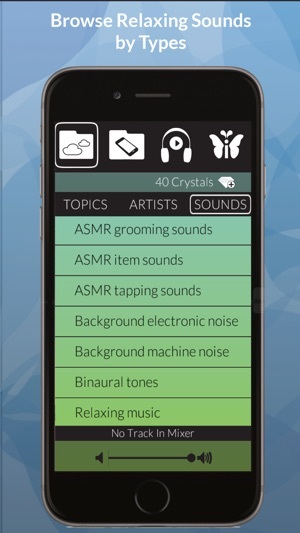 I don't like the "talking" so I'm glad this app also has a variety of sounds to choose from.